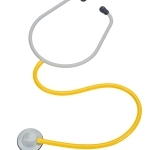 "At 3M, we continuously strive to develop and advance technology that can help clinicians improve patient care"
ST. PAUL, Minn.--(BUSINESS WIRE)--Leading healthcare organizations recommend single-patient stethoscopes be used for patients in isolation to help prevent transmission of infectious diseases. However, clinicians report that current disposable stethoscope options can produce inadequate acoustics, lack durability and are uncomfortable. These limitations may complicate accurate patient assessments and hinder isolation precaution compliance, leading to personal stethoscopes being used in isolation care settings and increasing the potential risk of cross-contamination. 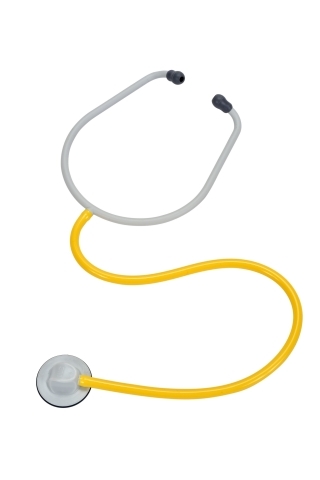 To address this issue, 3M is proud to introduce the 3M™ Single-Patient Stethoscope, a high-quality disposable stethoscope designed to combine excellent sound quality and comfort to help eliminate the use of personal stethoscopes in isolation environments. Clinicians working in isolation environments are treating some of the sickest, most vulnerable patients and it’s vital that they have access to high quality patient assessment tools. 3M’s Single-Patient Stethoscope line was specifically designed to enhance patient care while helping minimize the risk of cross-contamination. The stethoscope provides three essential elements that allow clinicians to accurately assess their patients while enabling compliance with isolation precautions. High-quality acoustics – Dependable acoustics enable clinicians to hear both heart and lung sounds effectively, ensuring key sounds aren’t missed. A pressure sensitive diaphragm also allows clinicians to emphasize either low- or high-frequency sounds by adjusting the pressure applied. Comfortable and easy-to-use – Comfortable headset, angled ear tubes and soft, flexible eartips were designed for an optimal acoustic seal to help maintain acoustic sensitivity and minimize ambient noise for accurate auscultation. The chestpiece is easy to hold and maneuver with multiple hand positions and comes in sizes for both adult and pediatric patients. Precaution compliance and infection control – By giving clinicians a quality tool they can trust, the potential for cross-contamination is reduced through eliminating the need to use personal stethoscopes on patients in isolation environments and improving compliance with standard isolation guidelines and recommendations. To learn more about the 3M Single-Patient Stethoscope and to hear the quality difference for yourself, visit go.3M.com/singlepatientstethoscope to request a sample.